Operations Leader, Emily Yurkovich, works at DentalWorks Chicago Loop in the heart of Chicago, so she’s no stranger to hustle and bustle. 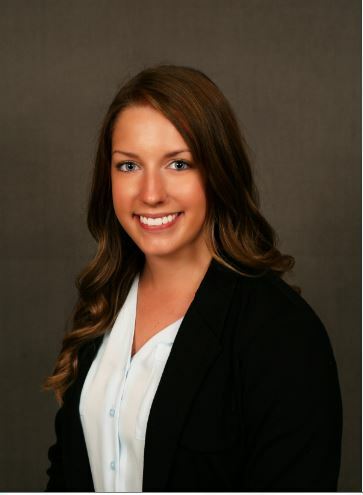 Having only joined the DentalOne Partners & DentalWorks team 4 months ago, Emily helps to run one of the busiest DentalWorks practices in the Chicago area. Teamwork, positivity and great communication are keys to a successful practice, according to Emily. 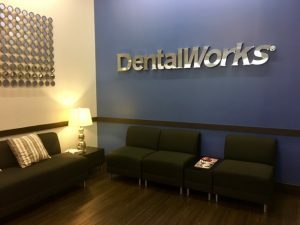 There’s so many reasons why Emily loves the location of the DentalWorks Chicago Loop practice. 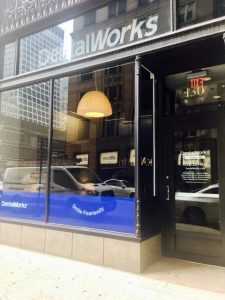 Right across from the famous Willis Tour, Chicago Loop DentalWorks has so many sights and sounds surrounding it. There is no shortage of delicious Chicago food and attractions within walking distance. Another added bonus is convenient transportation, so with the train being just steps away, Emily gets to and from work in a breeze. Being in the heart of downtown means go, go, go, and that’s no different for the patients at Chicago Loop. “It’s very fast-paced; a lot of the patients are in a hurry, so we want to make the hour they spend in this office fun and light-hearted before they get back to their busy schedules,” Emily said. With a big workload being the norm at Chicago Loop, positivity and encouraging words are a must. Celebrating birthdays in the office has become tradition, and as different seasons approach, the team has fun decorating the office to match. They love wearing ugly sweaters in December and their Halloween costumes in October; with so many different personalities, it’s hard not to have a good time, Emily said. Along with the great patients and quick days, Emily really enjoys learning and growing with the Chicago Loop team on a daily basis. Some of the team is still new, so they are constantly learning from each other and taking and giving advice. Emily says the supported doctors at the practice are very transparent with their expectations and honest when it comes to continuing to make the patient experience the best it can be by upholding the patient pillars of being Patient Friendly, Wallet Friendly and Schedule Friendly. While the team still has some growing together to do, their 4.6 star rating on Google shows the dedication they already have towards their patients. To make an appointment with Chicago Loop, because we know you’ll just have to check them out, you can visit their website or give them a call. There’s a good chance Emily might just be the one to answer the phone!